I love idea behind post cards. You send someone you care about a little snapshot of where your travels have taken you, and you have just enough room to include a little message about what's going on in your world. That's a pretty good explanation of what this record is, too. My little snapshot that I'm sending out to the world. 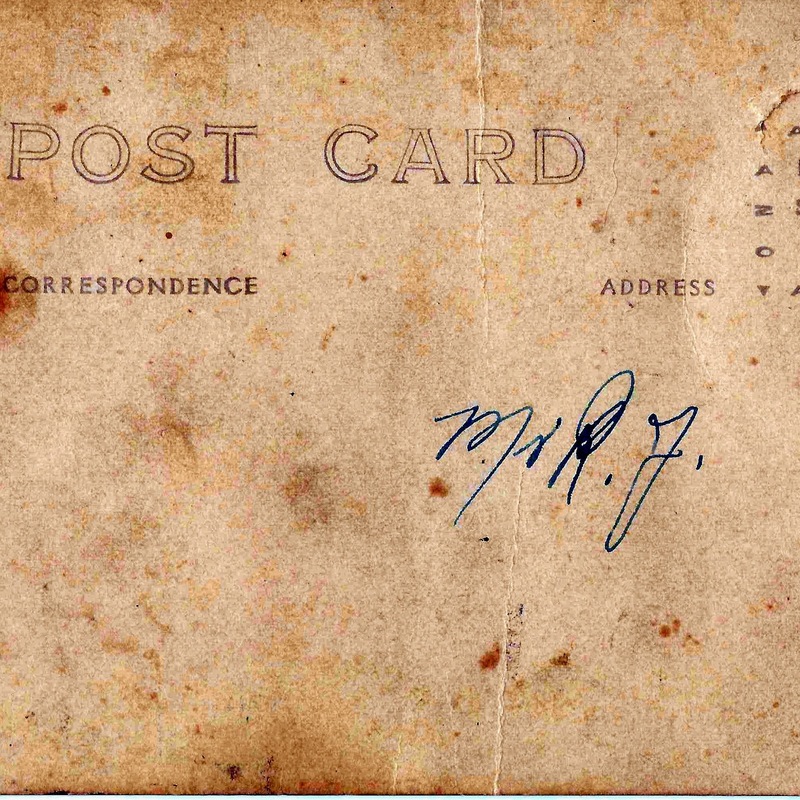 You can still get postcards, but nobody much sends them anymore since we can text and email. You can also still find good music that someone actually plays and sings, but you have to go looking for it and avoid the auto-tuned crap that gets shoved in your face. This record is far from perfect, but that's how it should be. Perfection is stale and boring, mistakes and imperfections are honest and real, and I prefer real. I also get that we music fans have been cheated for decades by an industry squeezing blood from the stone that was our empty pockets. I get that people just don't want to pay for music anymore unless they do want to. I buy records and cds and mp3s from artists that I believe in and want to support, but I have also downloaded a lot of music for free. I think that people should be able to hear the music and share it, and if they decide that they want to support the artist that created it, then so be it. With that in mind, I will be releasing this album so that you can all name your own price. You can download it for free and pay me afterwards if you like, or you can pay up front, or you can simply have it. I want people to hear these songs. I hope some of you will throw me a few bucks here or there to help with the cost of printing some discs or vinyl to take on the road when next summer rolls around, but most importantly I just want to put these songs out there for everyone to enjoy. The main location for downloading the album will be Noisetrade. My page there is linked here. The album will also be available on my Bandcamp page here. Both are great sites that help independent artists, so use whichever one works best for you. I'll also be posting the songs on YouTube on release day as well. Those links may or may not work between now and the 21st, but on that day you will be able to use them to get the record. So that's it. Post Card is ready to go, and you don't have to pay a dime for it. Thanks for the support, and hopefully I will see everyone soon.